Opened in 1988 in Williamsburg, NY. Brooklyn Brewery not only makes some of the best beer in the nation, but also pays homage to its native borough with a stalwart dedication to the craft beer process brought to these shores by immigrants from Germany, Belgium and Ireland. 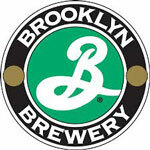 Under the guidance of brewmaster Garrett Oliver, the team brews its signature Brooklyn Lager, along with roughly 50 different artisan beers, including Brooklyn Greenmarket Wheat, Brooklyn Best Bitter, Brooklyn Summer Ale and Brooklyn Local 1. Garret Oliver – Brewmaster, James Beard award winner in 2015. Extremely well known in the beer world, author, speaker and amazing brewer. He writes all the recipes for the Brooklyn beers. Focus is on well made classic styles, lagers and ales. Beers come in 6 pack bottles and some cans, 22 oz bombers of specialty, bottle conditioned Belgians and other styles such as the ever popular Sorachi Ace. They have a brewery in Stockholm, Sweden, Tronheim, Norway and are opening one in Korea soon. Steve Hindy’s travel days have helped make Brooklyn a widely successful international brand. They are now the #1 exported brand and are a top 10 brewery in the US in sales. You will be sampling the Brooklyn Variety Pack! Below are the beers included, please sample these beers at the store! Please visit the Beer Explorer Portal to login.